Despite reports that it’s laying off workers in its asset and wealth management division, JPMorgan intends to grow its advisor force this year, according to news reports. By the end of 2019, the company wants to have around 6,500 advisors globally, Barron’s writes, citing the company’s 2018 annual report. JPMorgan had around 5,500 advisors in 2016, a spokesman for the firm tells the paper. The company is looking to build out in areas where it sees potential for high growth, such as China in particular, Barron’s writes, citing the report. 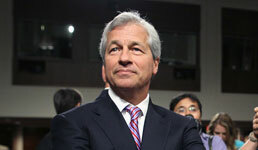 But JPMorgan CEO Jamie Dimon has indicated that the firm is zeroing in on the U.S. as well, according to the paper. “We are expanding our footprint to capture more of the opportunity across the U.S. wealth management spectrum — from mass affluent ($500,000 to $3 million) to high-net-worth ($3 million to $10 million) to ultra-high-net-worth ($10 million or greater),” he wrote in a letter to shareholders, according to Barron’s. To read the Barron's article cited in this story, click here.